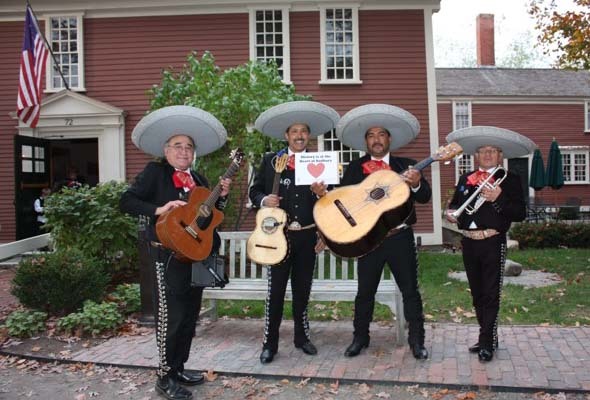 Do you “Heart” Sudbury History? 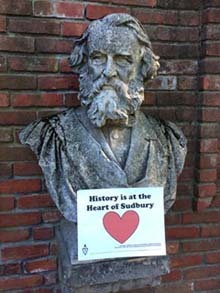 Mr. Longfellow hearts Sudbury History The Sudbury Historical Society has a new photo campaign as a reminder that “History is at the Heart of Sudbury.” Show you care about Sudbury's history by sending us a photo! 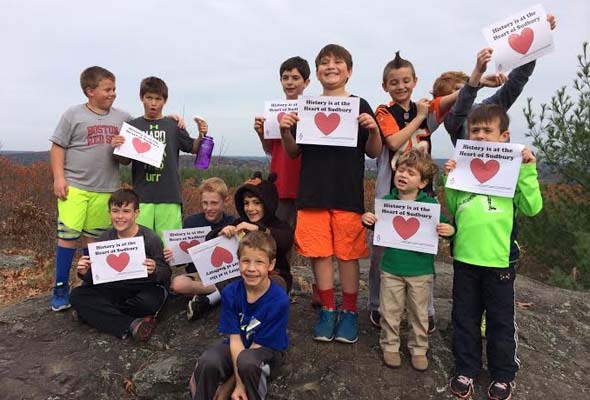 The SHS is asking you, our townspeople, to think about how you see that “History is at the Heart of Sudbury” by taking a photograph of yourself, your family, or a group to which you belong somewhere in Sudbury along with a copy of our special heart sign. Places you might consider for backdrops are in front of our historic properties, on our conservation trails, at Town buildings, at school, at club meetings, at a favorite store or restaurant - anywhere! E-mail your photograph or questions to Iheartsudburyhistory@gmail.com by January 31, 2015. Anyone who loves Sudbury history may participate. Your friends and neighbors are submitting their photographs. 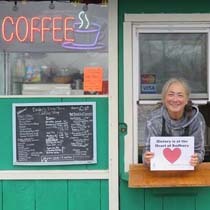 See our growing collection of hearts at Flickr. Photographs may appear on our web and Facebook sites, or in one of the Society’s future newsletters.By submitting a photograph, you grant the Sudbury Historical Society Inc., unrestricted rights and permission to copyright, use, re-use, publish and republish the photograph through any media, including printed materials or internet postings. Anyone under the age of 18 should have their parent or guardian approve their submission. The Sudbury Historical Society’s mission is to bring the rich history of the Sudbury Plantation area into the lives and activities of Sudbury’s residents. In all that it does the SHS strives to teach why Sudbury’s past matters for the present. Put simply, the past shows where Sudbury has been and where it can head and this awareness fosters greater civic pride. Bringing history to the forefront is imprinted in our bylaws. But, in addition, at the SHS we just heart local history and we want the town to know more about it.